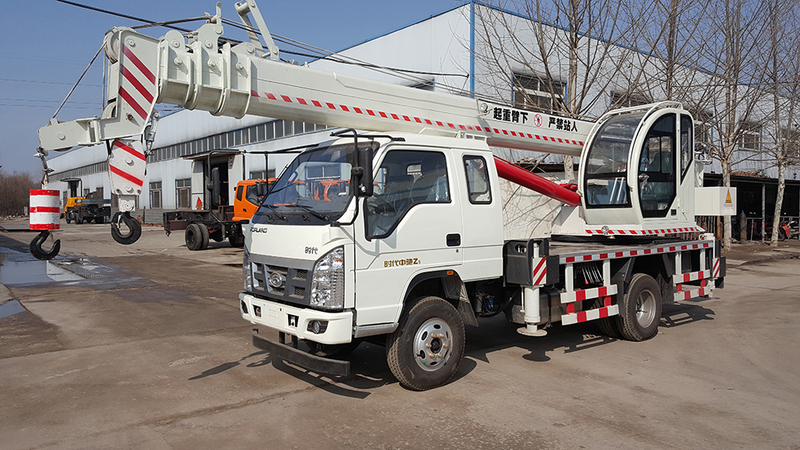 Mobile Truck Crane used U-section, the use of BS700 high-strength board, lighter weight, more rigidity, and actively improve the lifting performance. 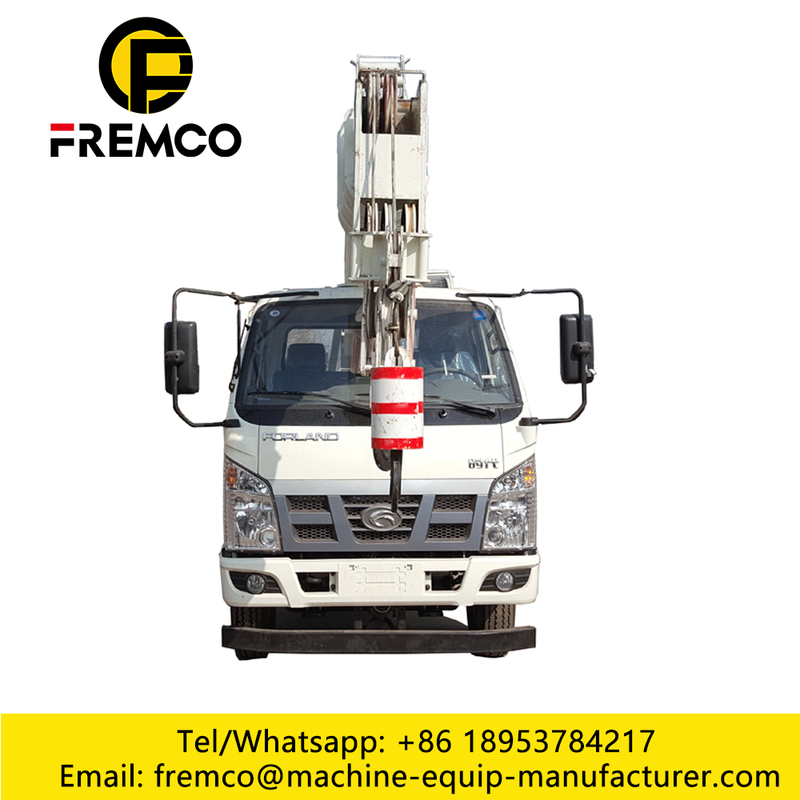 With single cylinder built-in telescopic way, lifting capacity. Double winch lifting mechanism, can be run independently, with the same time, you can achieve the infinite variable speed. Beautiful streamline up and down the operating room, spacious and bright, vision, built-in adjustable seats, safe and comfortable, box beam, stability, higher security. The board is made of laser cutting machine, streamlined appearance, quite beautiful. 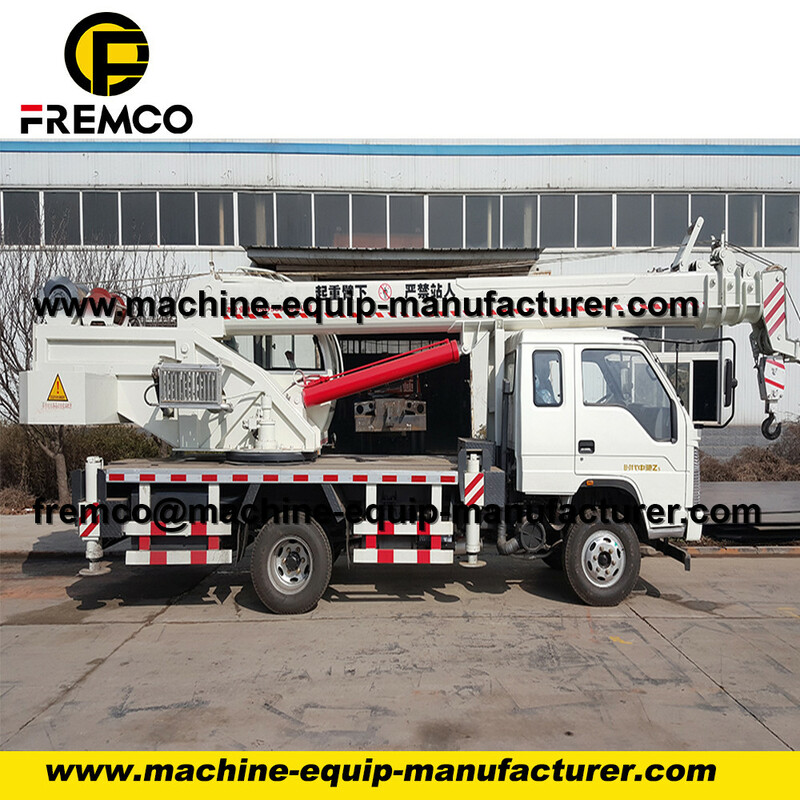 With 6,7,8 knuckle, motor, oil extraction machine, air conditioning, camera, multi-leg, double legs to the user with a variety of options . Booms: 5,6,7,8 , each booms can make 5 meter to 6.5 meter. 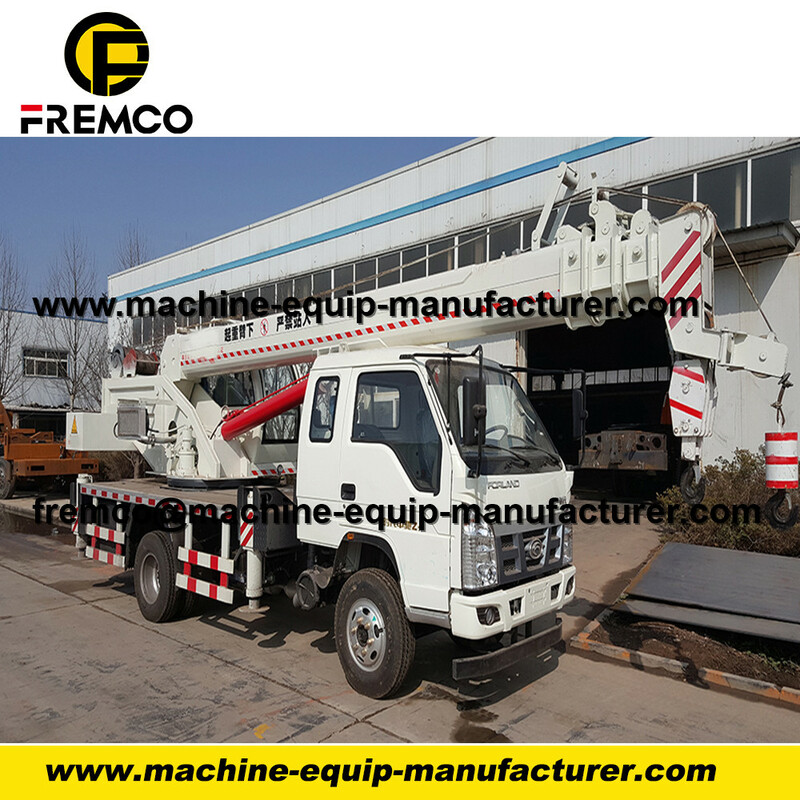 Chassis : brand with FORLAND, FORTON, DONGFENG, T-KING, SINOTRUK and etc. OEM is accpeted, Welcome to visit our factory ! 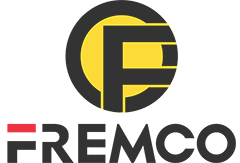 Looking for ideal Truck Crane Jobs Manufacturer & supplier ? We have a wide selection at great prices to help you get creative. 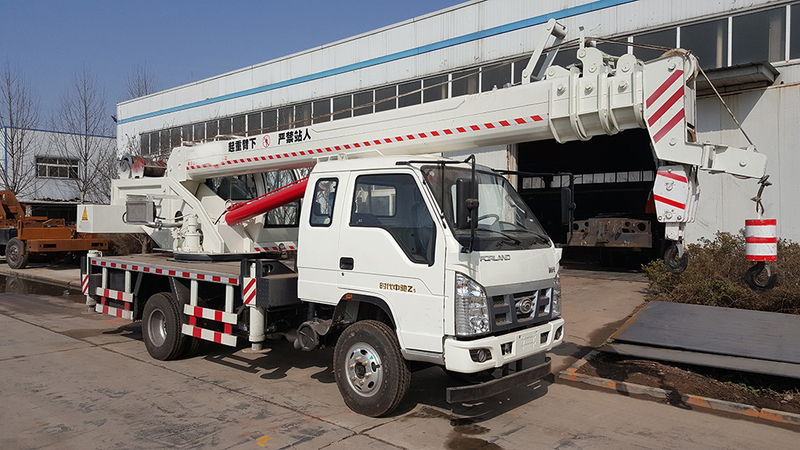 All the Load Chart Truck Crane are quality guaranteed. 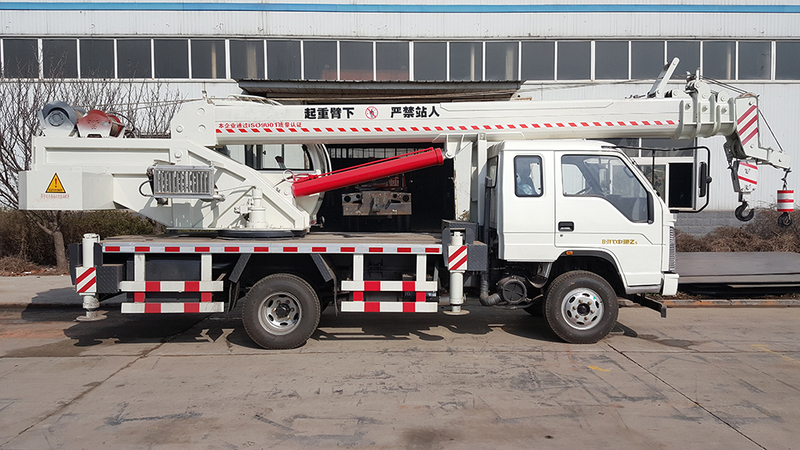 We are China Origin Factory of Load Testing Truck Crane. If you have any question, please feel free to contact us.